The annual Singapore Toy, Game and Comic Convention (STGCC) is back for another electrifying weekend to satisfy the pop culture cravings of fans in the Southeast Asia. 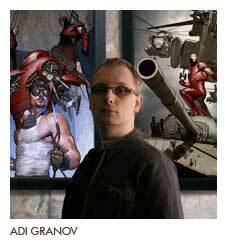 Fans can look forward to meeting Marvel Comics’ artist Adi Granov, the designer behind Iron Man’s trademark red and gold armour on the silver screens, as well as David Mack, famed for his works Daredevil and KABUKI. Both will be in Singapore for the first time at STGCC. From the popular cosplay scene, cosplayer Vampy Bit Me will jazz up the show floor with her enticingly gorgeous depictions of famous characters from the universe of DC Comics, Marvel Comics, anime and videogame. Fans will be delighted to know that Vampy will be donning brand new costumes at STGCC. Redjuice, a rising star in the anime industry and the gifted character designer of the hit anime Guilty Crown, will be joining the line-up of comic artists at STGCC. The riotously creative design team behind the highly sought-after TO-FU OYAKO, DEVILROBOTS, will also be back in town due to popular demand. Up-and-coming music producer DJ kz (livetune) will also rock the floor of STGCC with his latest creations of masterful mixes. This year’s STGCC will also see TAM, armed with his classical violin, performing uniquely refreshing renditions of musical tunes from genres like Anime and Game, which will definitely captivate the senses of fans from both the East and West. Listen up as TAM will be doing a special set list exclusively for STGCC. STGCC has set a new record attendance of close to 35,000 local and regional visitors last year, where fans of Western comics, toys and games and Eastern anime, manga and cosplay congregate to celebrate pop culture pandemonium. 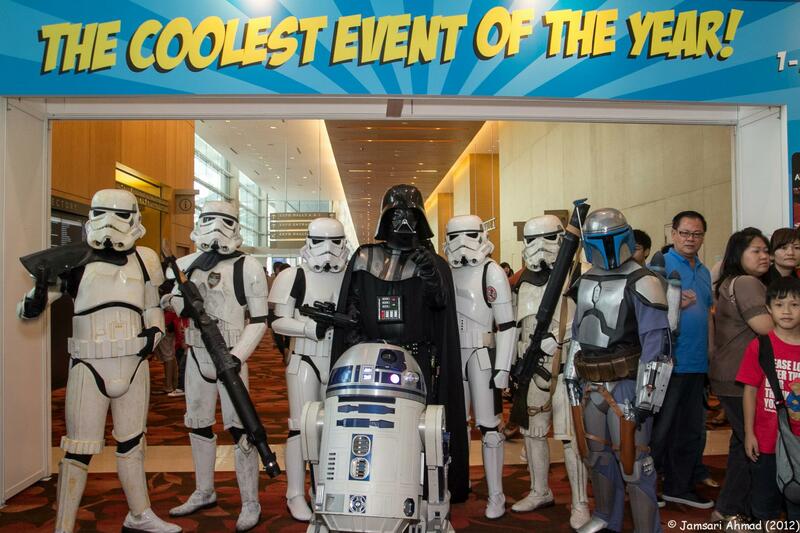 This year, STGCC will invigorate the Sands Expo and Convention Center in Marina Bay Sands from 31 August to 1 September 2013. Ticketing and more details will be revealed very soon.